Going under the knife is a big no-no for beauty contestants around the world, but in China's first Miss Plastic Surgery pageant it is a requirement. Nineteen finalists aged 17 to 62 will vie to become the country's most beautiful "Renzao Meinu", or artificial beauty, in Beijing on Saturday. Organisers said the contest aims to allow society to understand and accept women who have chosen to transform their looks with cosmetic surgery. "Everybody should have the right to pursue beauty. 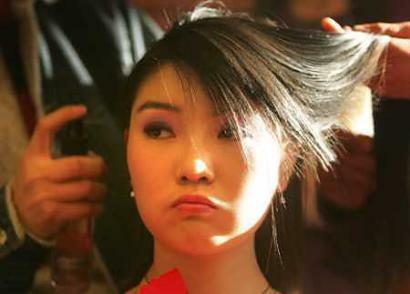 And in fact, we all know that pretty women have more opportunities than others," organiser Han Wei told AFP. "Statistics have shown that those who are more beautiful than average are even economically better off than others," she said. Entering the competition as "the top man-made sunset rose of Hebei province," 62-year-old Liu Yulan said she cherished the chance to show off her wrinkle-free face and larger, more defined eyes. "I want to send a message to society that the love of beauty is not limited by age," the oldest contestant said on the contest website. The second oldest, Long Yan, 47, said the decision to smooth out her facial wrinkles and baggy eyes, to enlarge her nose and remove excess fat all over her body, had improved her life markedly. "After the operation, everyone around me said I have become more beautiful and I feel younger too," she said. "Becoming beautiful is everyone's right, it's a very natural desire." Most other contestants are in their early 20s, qualifying for the competition after presenting certification from their doctors proving they have indeed been cosmetically altered. Like many women in China who are increasingly influenced by Western standards of beauty, contestants have typically undergone surgery for bigger busts, larger eyes, more defined noses and slimmer bodies. Plastic surgery has taken off in China in recent years as people become wealthier and more conscious of their appearance. Sponsors of the contestants -- from private beauty clinics to cosmetic surgery hospitals -- are vying for more business in a booming industry. China, which used to frown upon beauty and fashion as frivolous and decadent, is now the world's eighth-largest and Asia's second-biggest cosmetics market. According to state media, there are 11.2 million practitioners in 1.5 million beauty salons in China, raking in 168 billion yuan (20.3 billion dollars) last year, a 20 percent year-on-year increase. Four-fifths of the businesses opened in the last five years. However salons -- which often carry out cosmetic surgery -- have so far gone unregulated, and staff are often untrained. On Saturday, apart from the top prize, other individual prizes to be awarded include the "best plastic surgery idea" and the "best transformation". The overall winner will receive gifts worth 50,000 yuan such as club membership and jewellery, plus a free fact-finding trip to cosmetic surgery salons in Japan. One of the most popular contestants in terms of Internet voting so far has been transsexual Liu Xiaojing, who had surgery on her breasts, nose, eyebrows and chin and liposuction on her waist. "My whole body, apart from my face, has undergone operations," said Liu, who was a man until three years ago. "The operations have brought me a lot of (physical) pain, but I'm a girl at last. I have fulfilled my dream, I've become the person I wanted to be, that's my biggest reward." 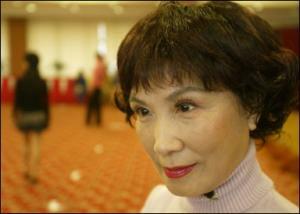 Organiser Han Wei, however, was keen to stress beauty was not only skin deep. "We advocate that when people have achieved beautiful outer beauty, that they should pursue inner beauty," Han said.